Aran Biomedical has considerable experience in the design and manufacturing of implantable textile constructs, either as a finished medical device or a component thereof. 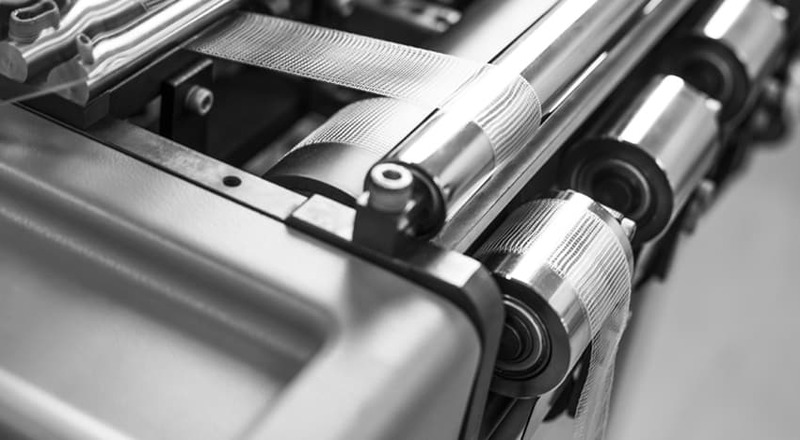 We have a track record of delivering competitive functionality, using proprietary processing techniques with customized equipment. Through the selection of an appropriate biomaterial grade, fibre specifications and knit structure, the required properties can be simultaneously achieved for optimized clinical performance, specific to the indication for use. 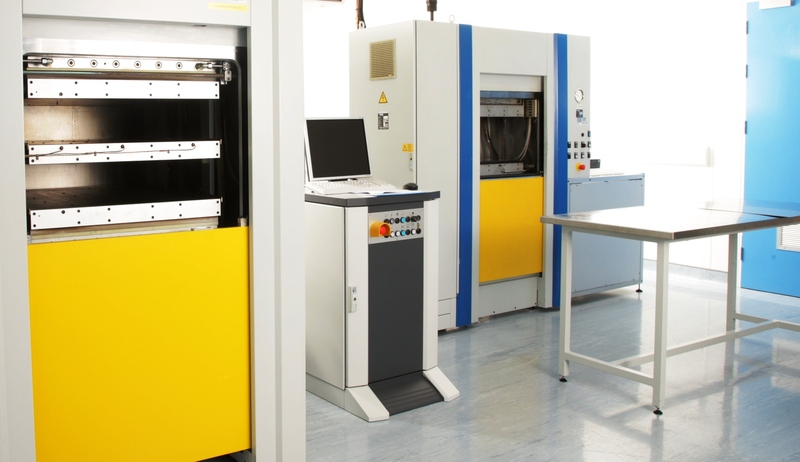 Our state-of-the-art, digitally controlled machines facilitate variable design structures, with reliable precision and repeat-ability. Aran Biomedical possesses in house yarn preparation and processing capabilities. The yarn can be split, twisted, warped and heat set, to achieve the desired final product requirements and specifications. This equipment and skill set in house facilitates short lead times for customers from receipt of yarn to initial prototype development. Knitted medical fabrics offer unique performance criteria when compared to textiles processed by other means. Specifically, knitted fabrics offer compliance and the ability to negate unravelling of yarns. Where a knitted fabric is implanted can dictate particular compliance characteristics, to ensure that the material stretches or conforms with the movement of the body, limiting unwanted stresses or discomfort. 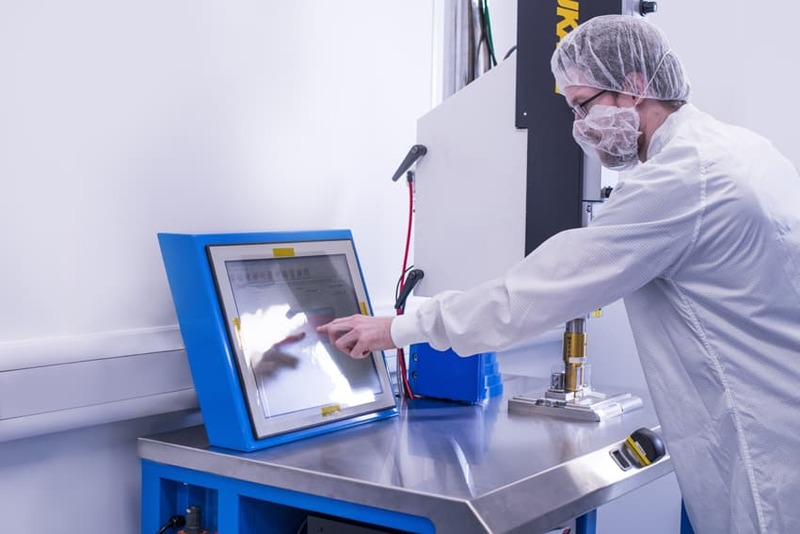 Aran Biomedical uses digitally controlled equipment to precisely define specific knit configurations and pore geometries that offer preferred compliance characteristics in the X (machine) and Y (transverse) directions. 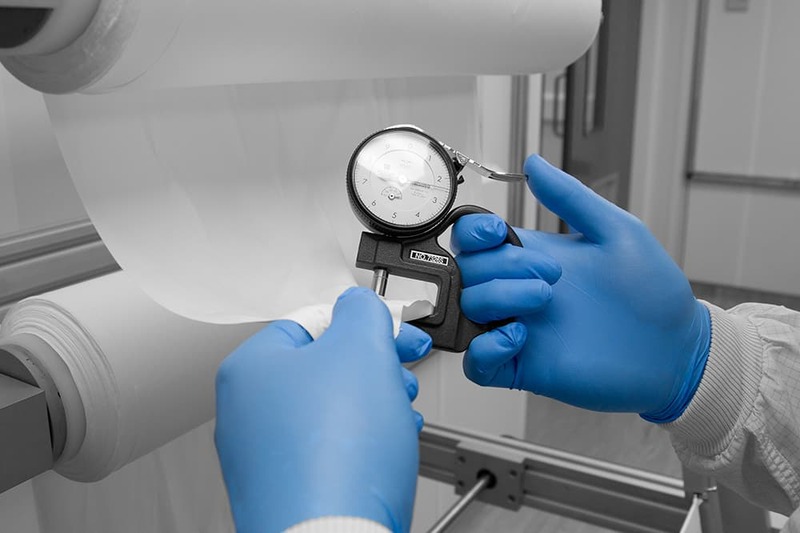 This also applies for tubular fabric, where the degree to which a fabric stretches radially and longitudinally can be precisely tuned. 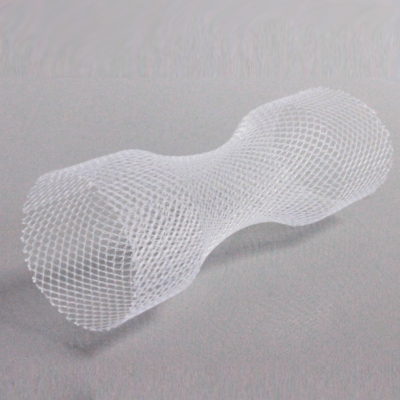 The other benefit of knitted fabric with defined compliance characteristics is that the material can conform to the geometry of underlying implantable frames, so rather than folding during crimping and deployment, the material can stretch and foreshorten. Woven medical fabrics are made up of interlacing yarns which cross one another at right angles. The weft yarns run transversely across the loom, with the warp yarn running longitudinally, creating a dimensionally stable implantable fabric. 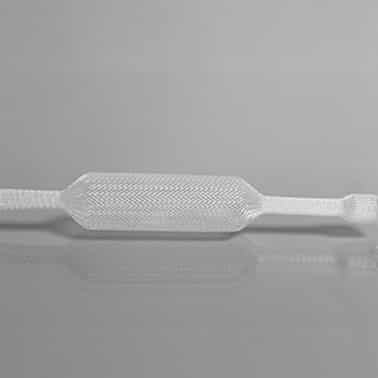 This implantable fabric configuration results in a flexible material with desirable performance attributes applied, such as high tensile strength, high suture retention, and a high level of burst strength. When compared to knitted fabric this material can be manufactured to be comparatively thinner, with a smaller pore size. This is usually applied where the fabric is required to act as an impermeable barrier. The low profile/ low porosity that woven medical fabric can achieve has led to their use in endovascular grafts, aortic valve skirts and other structural heart implants. 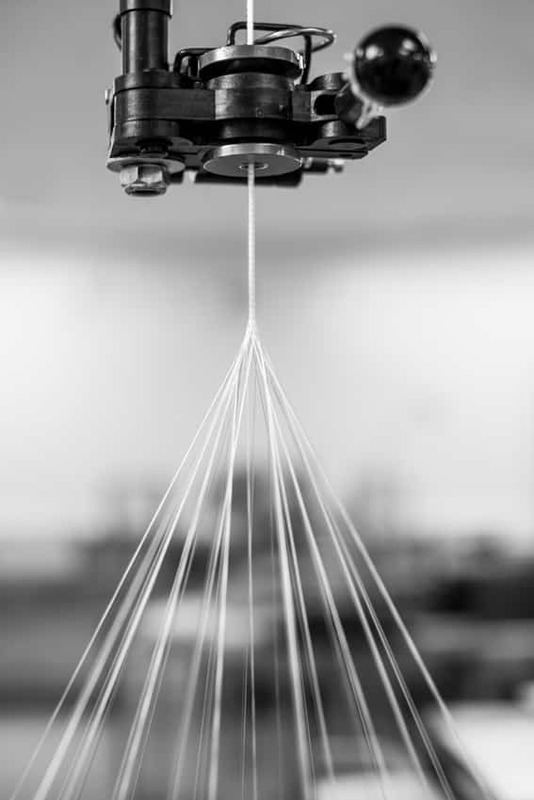 The company’s state-of-the-art, digitally controlled equipment facilitate variable woven design configurations, with unparalleled tolerance and precision. Braided implantable fabric is achieved by intertwining multiple strands (minimum 3) of wire or yarn in a diagonally overlapping pattern. The design is typically used for the manufacture of suture, braided stents, catheters or other implantable devices. Aran Biomedical specialises in high strength sutures, and is a trusted specialist of DSM Dyneema® UHMWPE fibre. Post-processing techniques can help to improve the form and function of implantable fabrics. 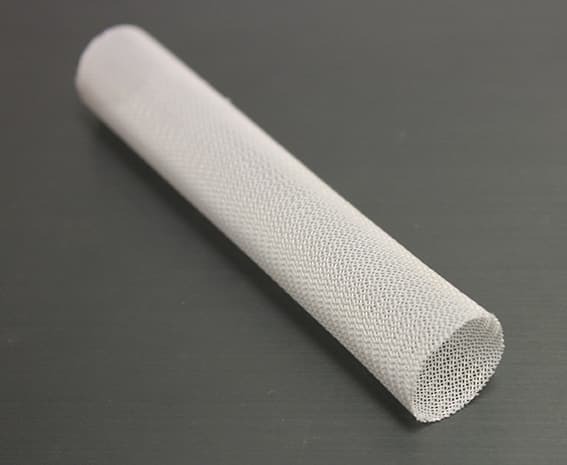 Aran Biomedical heat set fabrics to control characteristics such as pore size and compliance, offering isotropic stretch or, in tubular form, controlled radial and elongation properties. 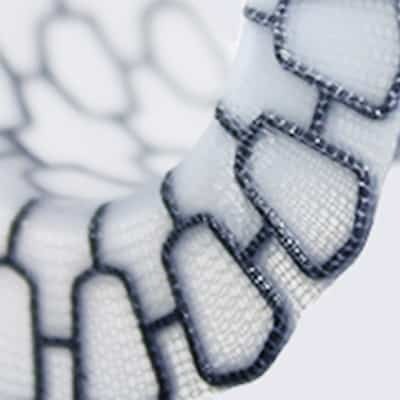 Whether to customise fabric to a particular part of the anatomy or to improve the folding and crimping ability of a fabric onto an implant, fabrics can be shape formed to precise dimensions. This can often support improved delivery and deployment and is particularly suited to knitted fabrics. 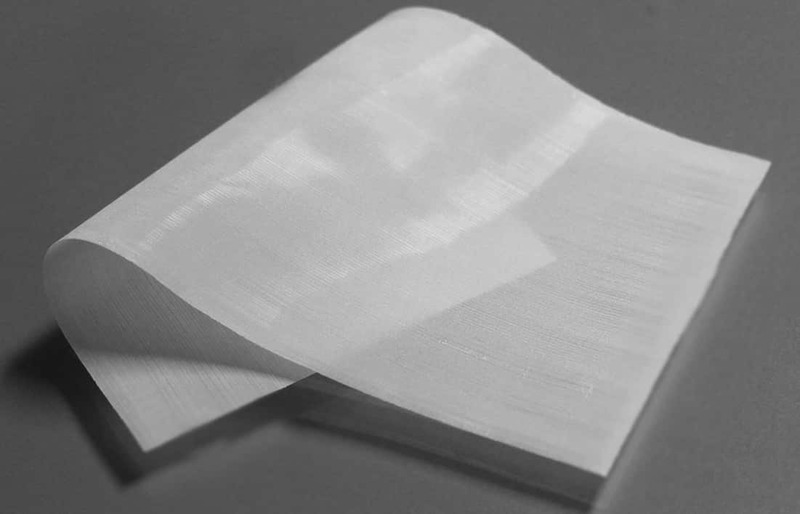 In addition to shape forming, Aran Biomedical can apply proprietary fabric condensing techniques to significantly reduce fabric thickness while maintaining preferred mechanical properties. This offers a number of benefits, such as a lower profile for minimally invasive delivery, a smooth surface finish and a higher strength-to-profile ratio. Additional conversion processes can also enable integration of multiple material forms, including medical textile with non-woven fabrics, such as nitinol wire, electrospun materials or elastomeric films/ coatings. Aran Biomedical has a number of techniques for trimming medical fabric, such as mechanical cutting or a hot knife. Many fabrics are laser micro-machined for dimensional accuracy, which also cauterizes the edges to inhibit fraying. Aran Biomedical has extensive know-how in the suturing of implantable medical textiles. Sewing and embroidery are employed to join fabrics together or to attach fabric to other components. As an alternative to suturing, Aran Biomedical utilises ultrasonic welding as a method of fusing fabrics. The tooling design focuses the ultrasonic energy to produce the desired melt zone, providing a precise and repeatable pattern. Aran Biomedical expertise with regard to medical textile production and fabric finishing can deliver solutions for even the most challenging design configurations.